​Kathy Poley Named Senior Vice President of Global Contact Center Operations at Afni - Afni, Inc.
Afni announced today that Kathy Poley has been named Senior Vice President of Global Contact Center Operations. In her new role, she will be responsible for Afni's global contact center operations and support organizations. "We have full confidence in Kathy's ability to drive strategy for global processes, performance, and efficiency," said Ron Greene, President and CEO. "In her years with Afni, she has led teams to exceptional performance and positive change." Poley has eight years of experience with Afni, and 25 years in the contact center industry. The depth of her expertise spans client relationship and operations management. Since joining Afni, Kathy has served as Director of Operations, Director of Client Services, and most recently Vice President of Client Services. 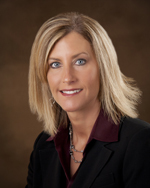 Prior to joining Afni, Kathy served in senior and executive management roles over operations and client services. Her global experience spans operations and client relationship strategy for the U.S., Canada, India, and the Philippines.